The picot cast-off is tedious. It’s just not knitting fun. 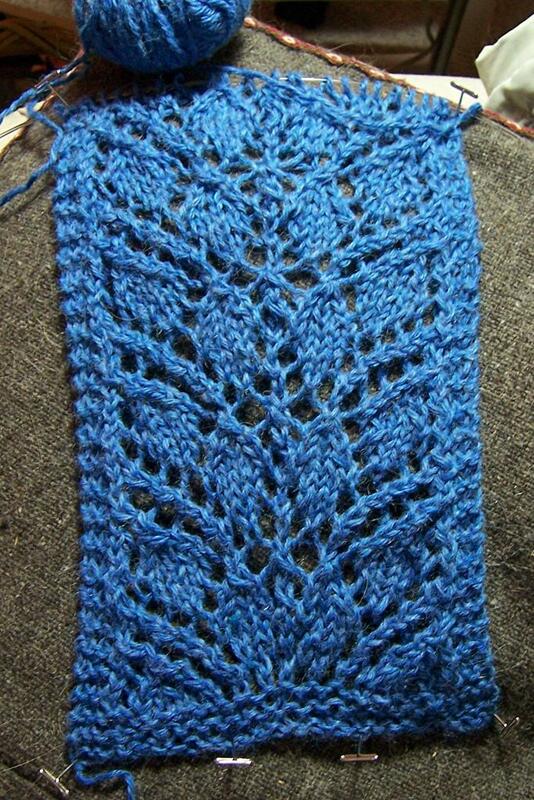 When I reached the halfway point I put it aside, and I started this Branching Out scarf with KnitPicks’ Andean Treasure. All Alpaca, in a color called Summer Sky. I’m not sure I’m loving this pattern (is that heresy?) 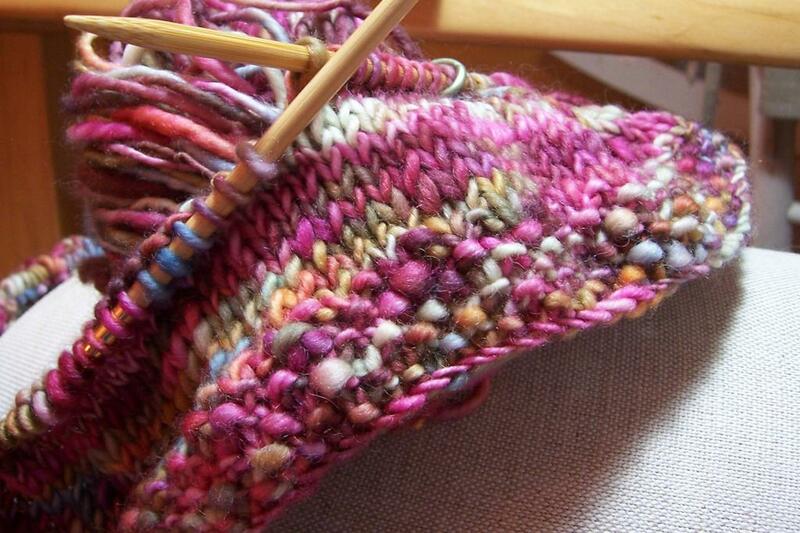 but it’s reasonably mindless knitting, a nice yarn to work with, and I’ll have it done in no time. I was hoping to start a small project that thrilled me, and this isn’t it, but it will do. It will give me the break I need before going back and finishing the shawl. I know myself well enough to know that I’m putting off finishing it because I don’t want it to be over. I have a hard time with endings, even when they are accomplishments. Why fret? Waiting in my basket is the Fabulous Manos Wildflower Cable Pullover. Now that’s some knittin’ right there.